Have you ever been tailgating? Usually tailgating is done in a parking lot, near your car right before the big game. Sometimes, you just want to stay home and go low-key with your game day spread. You can cut out the middle man and just make it all happen at home. As much as I love going out and meeting my friends for a social gathering, sometimes this social butterfly just wants to chill at home with her family without turning on the oven or the stove, grub on some wings and watch the game in her yoga pants. Everyone knows I'm a professional private chef and I suspect everyone thinks I'd never in a million years purchase prepared wings from the deli. You are wrong, sir. Very wrong. I need a break from being chained to the stove, too. As a matter of fact, you may find me in line at the Walmart Deli asking the clerk for a "sample" of a wing or two before I do my shopping. I'm very familiar with these wings. And soon, perhaps you will be too. I do, however, find it mandatory to make my own dips to go with the wings. I can't 100% throw caution to the wind! So go on. 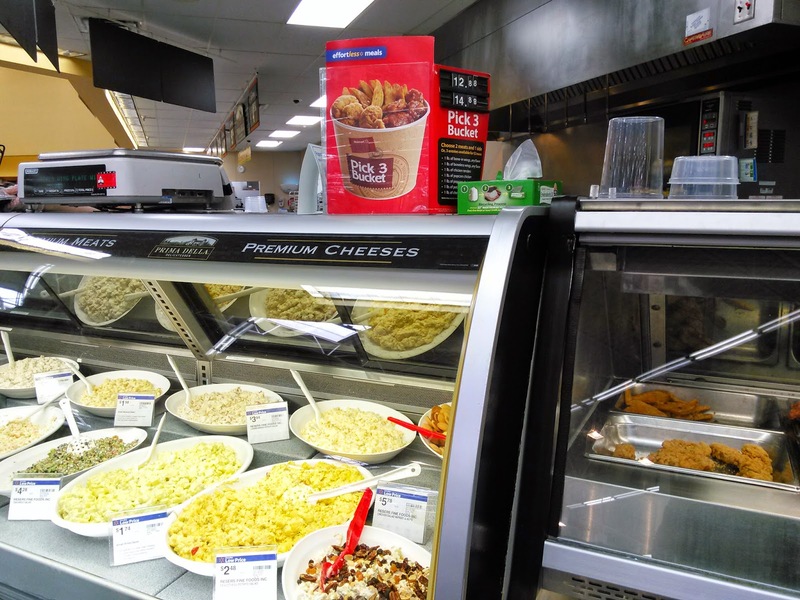 Go ahead and create a great game time experience with deli wings, hot wings, or even General Tso's wings from Walmart Deli for Tyson. You can also choose the pick 3 bucket if you can't decide which wing your family or your yoga pants will like best. 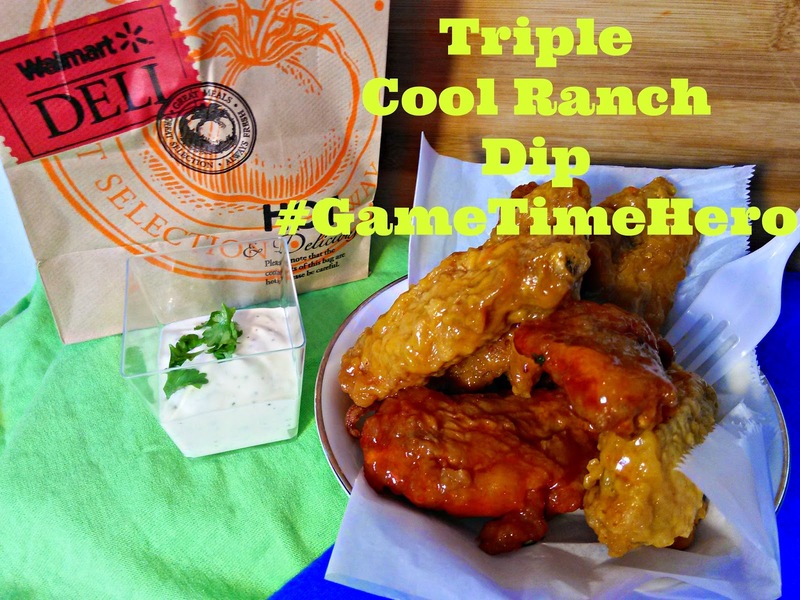 You get to be a #GameTimeHero with Walmart Deli wings and this trio of Triple Cool Ranch Dips. A lot of people call Ranch dressing "The Ketchup of the South" because we dip everything in it. 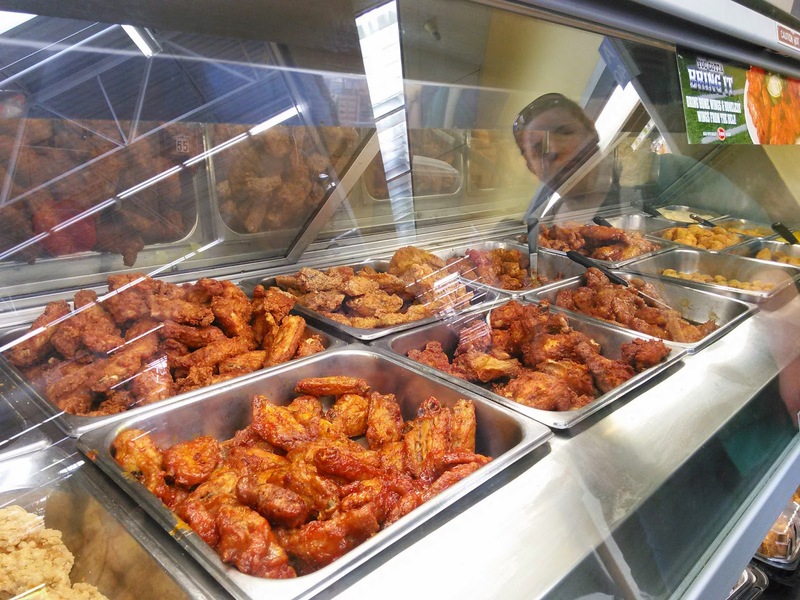 French fries, pizza, vegetables, potato chips, hot dogs, and yes--our chicken wings, too. I went to Walmart and grabbed a couple pounds of bone-in buffalo wings and hot wings. They're so easy to pick up. Whether you're the host or a guest, everyone will be happy to see you with these wings in-tow. 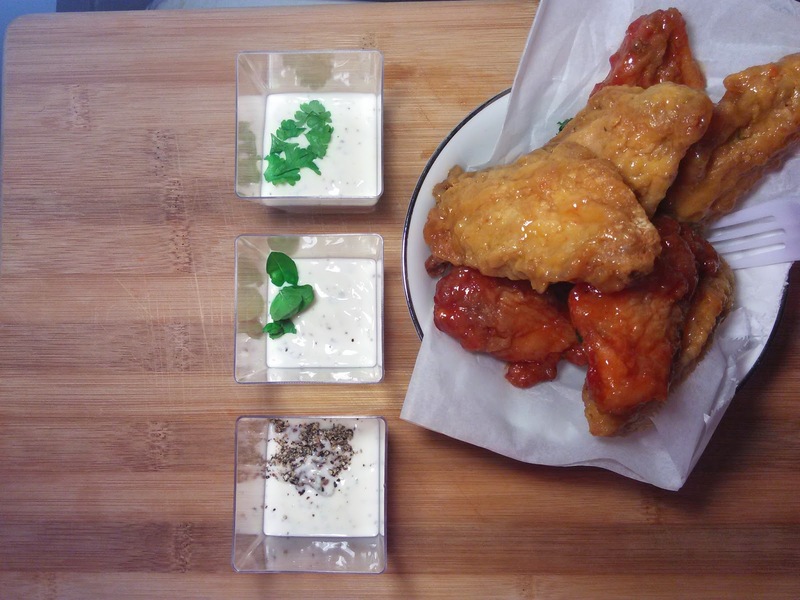 The hot wings are easily paired with this trio of cool ranch dips: peppercorn, basil and classic. Each dip has the same base but with a little extra twist, you get to create three unique flavor profiles. The peppercorn is spicy, and adds a little kick to the tangy flavor of the ranch. The basil is earthy, and my personal favorite. The classic ranch, of course, will satisfy any dip lover. 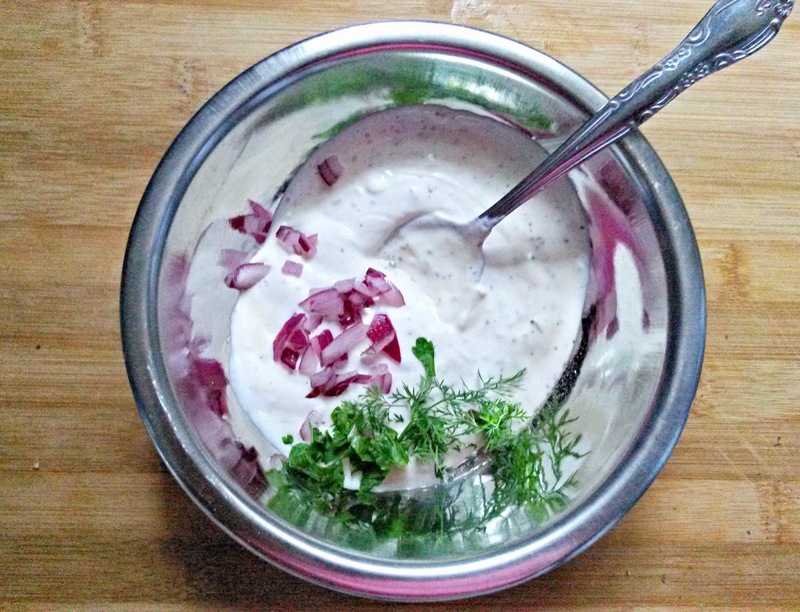 In a bowl, combine the red onion, chopped dill, parsley, garlic, vinegar, yogurt and mayonnaise. Whisk to combine. Stir in most of the buttermilk. Check for consistency, and add more if needed. Taste, then season with salt and pepper. Divide into three serving bowls. 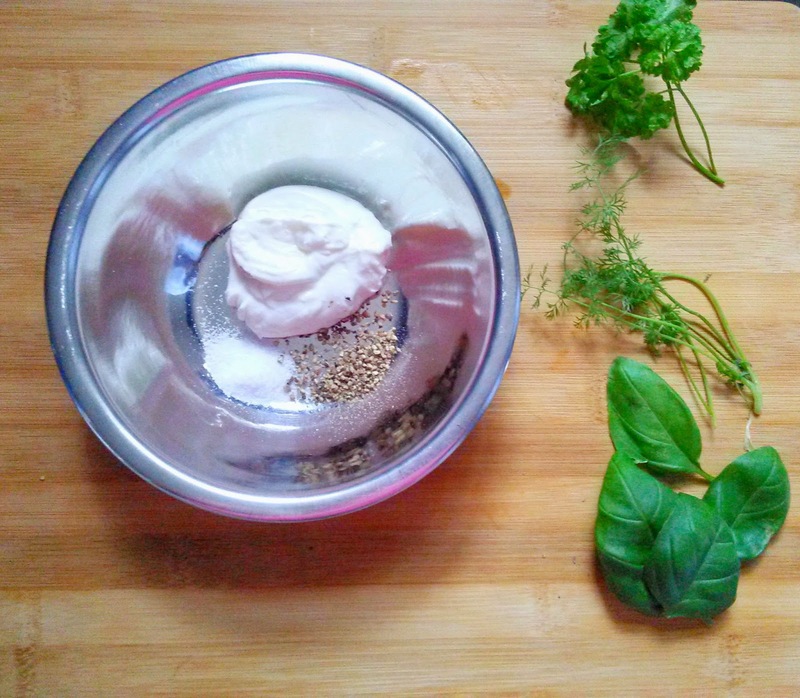 Add additional peppercorns or chopped basil to two of the three bowls. Cover and refrigerate for an hour to allow the flavors to develop. You can become a Game Time Hero very easily by clicking on this link so you can check to see if there is a Tyson demo at a Walmart near you! I love it when you can easily adapt a recipe with different flavors and seasonings! Great flavor combinations! These wings look amazing! Wings are the best! That dip sounds like the perfect thing for wing dipping! These would be a hit for Super Bowl Sunday, for sure. Seriously, everybody needs a break from standing over the stove on a regular basis - even if it's our profession and/or our passion. I'm right there with ya! I like the sound of all 3 of these ranch dips...bring 'em on! I'm all for dipping those wings into that sauce! Oh my, this sounds delicious! I love how you took this dip to the next level! Sounds great. Now I need to make my way to the deli counter in Walmart! So that's how you make the real dressing. Thanks and you do need a break! Oh my goodness, I love this dip! I have absolutely no problem whatsoever with taking a little help from the deli counter sometimes! And, I agree, homemade dips are always best. Love the three versions you've show us here! 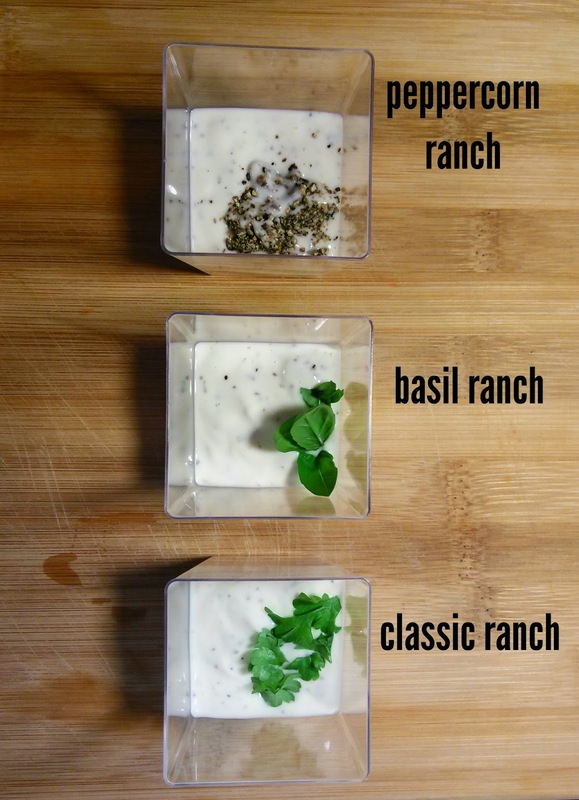 I'm a lover of Ranch so these 3 versions are perfect in my mind! Aww, Erin! Tell your husband I said thank you for the confidence boost! I love that you use greek yogurt in your ranch! That basil one is absolutely calling my name. I love the idea of making one dip to use as a base and then changing it up to suit different people's tastes. I love ALL kinds of ranch dressing! I'm all over that peppercorn version! Peppercorn ranch is my jam! 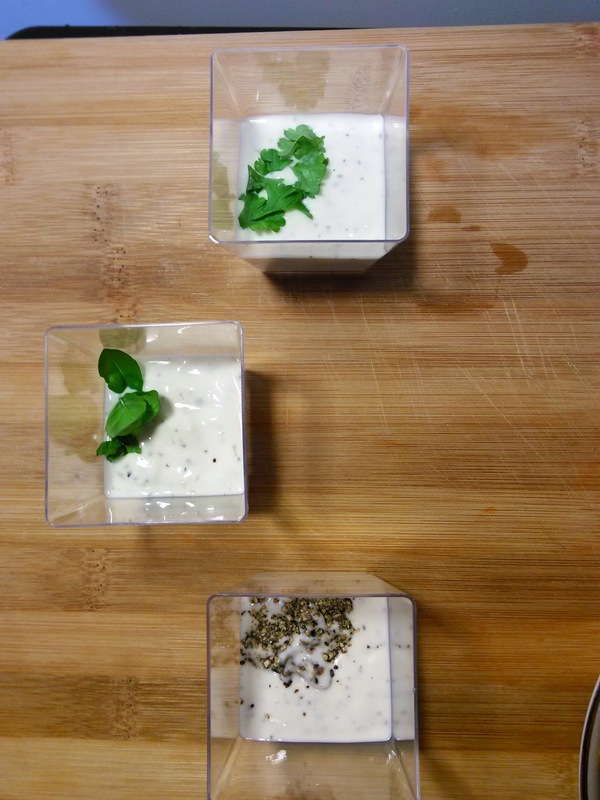 Your homemade ranch dips look wonderful. So much better than store bought!